Location - Normally referred to as Blenheim, the track isn't in Blenheim but is 10km away near the small settlement of Renwick. From Blenheim take SH6 to Nelson. Soon enough you will come into Renwick. Ideally you would hang a right into Old Renwick Road but unfortunately a right hand turn is not permitted. So keep on driving through Renwick and out the other side. About 3/4 of the way down the first straight after Renwick you will see a sign showing you where the track is. Turn right into the gravel road which will take you to the track. 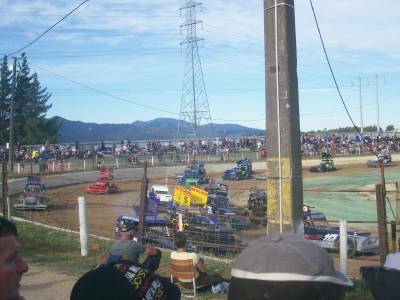 Parking - Was beside the track and a gold coin donation was required which got Percy into a draw of some description. Percy didn't win. There did appear to be a few locals who parked outside the proper carpark. The spot appeared to be behind the pit area on Old Renwick Road. Premiere Meeting - It would be easier to find a needle in a haystack than to find the premiere event on the Blenheim calendar. Maybe the Easter meeting on the Friday night? 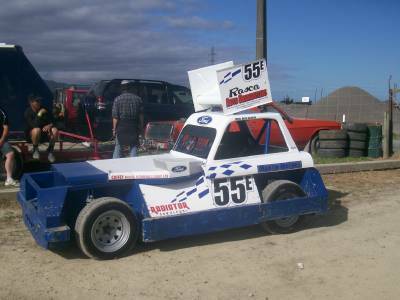 That could attract a large number of cars given Nelson runs the Saturday and Sunday. Also worth attending - DHL South Island Saloon series looks to be the best of the rest. 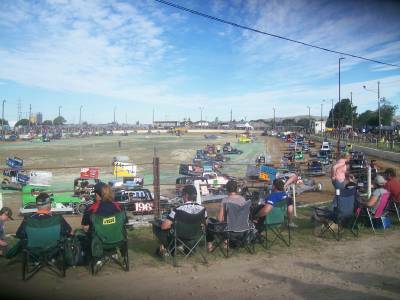 Best spot to sit - The spectator area suffers from a lack of height and finding a good position can prove problematic. Percy was also in attendance at a major championship which doesn't help judging where the best place may lie for a normal attendance. 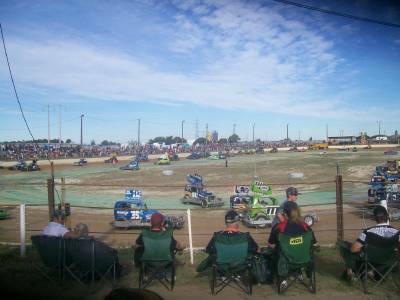 Given the safety fence I'd take a punt at sitting on the straight between turns 2 and 3, sitting well back if possible. 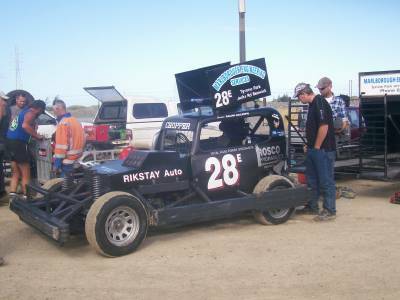 Classes run - Ministocks, Stockcars, Superstocks, Productions Saloons, Saloons, Super Saloons, Streetstocks, Sidecars, Modifieds. Uniqueness - Blenheim is like two airport runways joined together by two relatively tight and slightly banked corners. Yet it is a deceptively long 422 metres around the pole line which incidentally is the part of the track you want to be racing on. The track looks like given the right conditions it would be really good for non-contact classes.